The last time my parents and their five children gathered was Christmas of 1997. Since then, they’ve added two children (via marriage) and gone from one grandchild to nine. On Saturday, Katie makes her First Holy Communion. Such an event was a perfect excuse to lure my parents (and my brother, Glenn) here from Florida, and that, combined with the occasion of their 40th wedding anniversary, was a good reason for my other siblings to travel from their far corners of the world (Ohio, California and Alaska). One sister arrived on Tuesday. Last night, I picked up my other sister and her family at the airport. My parents called last night to report their progress, and they are due to arrive this afternoon. The last tendril of the family vine expects to leave Ohio this afternoon just as soon as work is over. I’m so happy. We’re sure to have mischief of one kind or another. I do have 6 or 7 (depending on the mood of the niece in Ohio) additional people sleeping at my home, which makes things crazier than normal. And the weather isn’t quite the way I’d like it to be (cold and rainy instead of warm and sunny). And I’m not sure if the water heater will accommodate the extra showers and loads of laundry. But it’s OK. It’s temporary. At some point, everyone will sail back (over a year and in and out of weeks and through a day) to their own homes. And it may be quite some time before we are together again. Have fun! What a great thing for Katie! And, happy anniversary to your parents. We have 1st Communion on Saturday too!! What a wonderful occasion to have everyone in town–and what a blessing for your parents to be able to celebrate their 40th this way!! 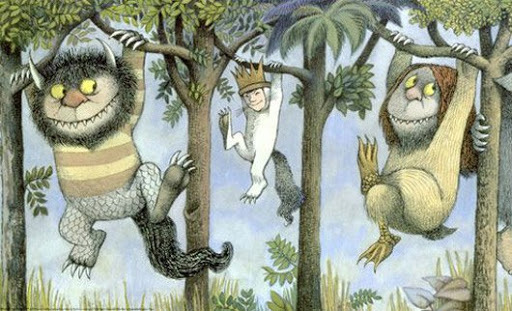 Have a great weekend and enjoy the wild rumpus!! I envision lots of junk food, card games and late night beers. Enjoy every minute. I love my family. I imagine you are filled with joy and love! Congrats on all counts – First Holy Communion, Anniversary – and just being together! My ds makes his First Holy Communion on Mother’s Day – I can’t wait! A special prayer for your little one tomorrow, too!